This week’s news that nearly 98-percent of Washington drivers are wearing seat belts reminds us of one our favorite videos of 2010. Titled Embrace Life, the powerful video has received more than 11.4 million views since its January 29th debut on YouTube. If you haven’t watched the video, it’s 89-seconds well spent. According to the Washington Traffic Safety Commission, 97.6 percent of our state’s drivers are buckling-up this year, an increase of 1.2 percent from 2009. To paraphrase the unspoken message of the popular YouTube video, one might say that when Washington residents settle into a car or truck, more than ever, they are choosing to embrace life. Downloadable off road motorcycle info sheet. Here are photo illustrations of street-legal and non-street-legal motorcycles, and examples of accompanying documentation that comes from manufacturers. 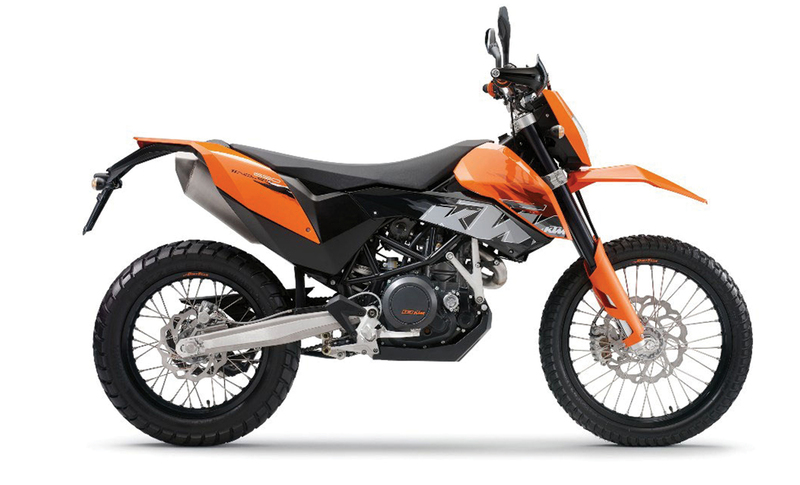 While the photographs are KTM brand motorcycles, there are a variety of manufacturers of both street legal, non-street legal and “dual sport” motorcycles – these two motorcycles are used only as examples, and this information specifically applies to Washington state. Motorcycles (all vehicles, for that matter) are determined to be road-worthy depending on a long list of items – everything from the construction of the gas tank, to the brakes, mirrors and emission standards. Except for the emission standards, these criteria are a part of the Federal Motor Vehicle Safety Standards, which Washington state has adopted. 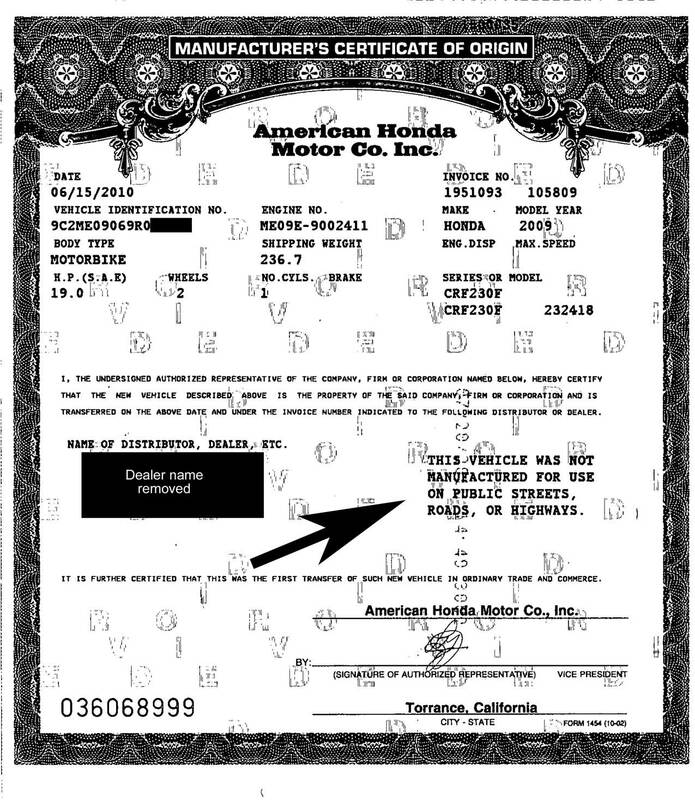 If a vehicle is not road-worthy, Washington Administrative Code requires that it must be noted on the vehicle’s Certificate of Origin. Some manufacturers are out of compliance with this requirement, and DOL continues work to ensure manufacturers are compliant. You can see two examples below. 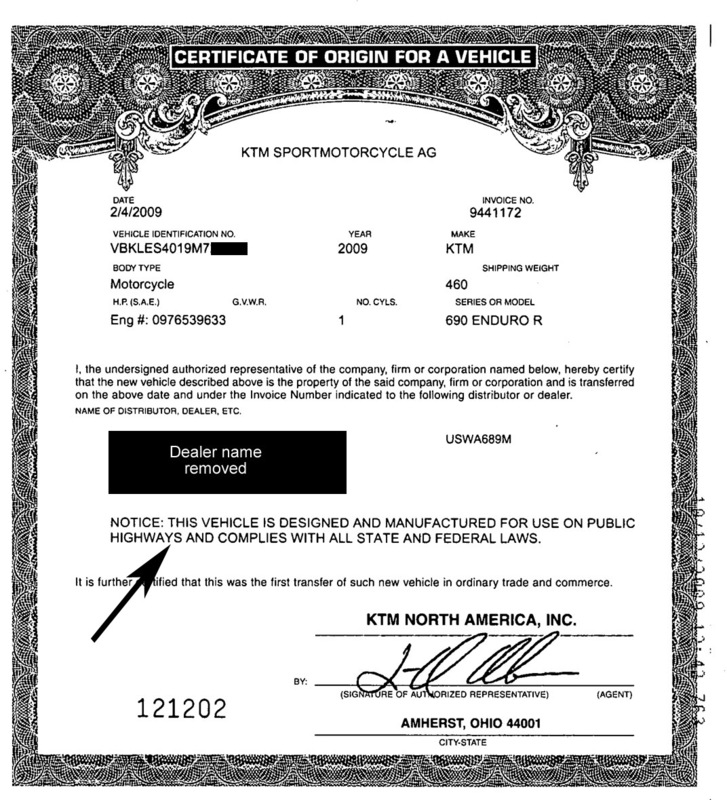 Certificate of Origin for a Honda non-street legal motorcycle. Note required statement. 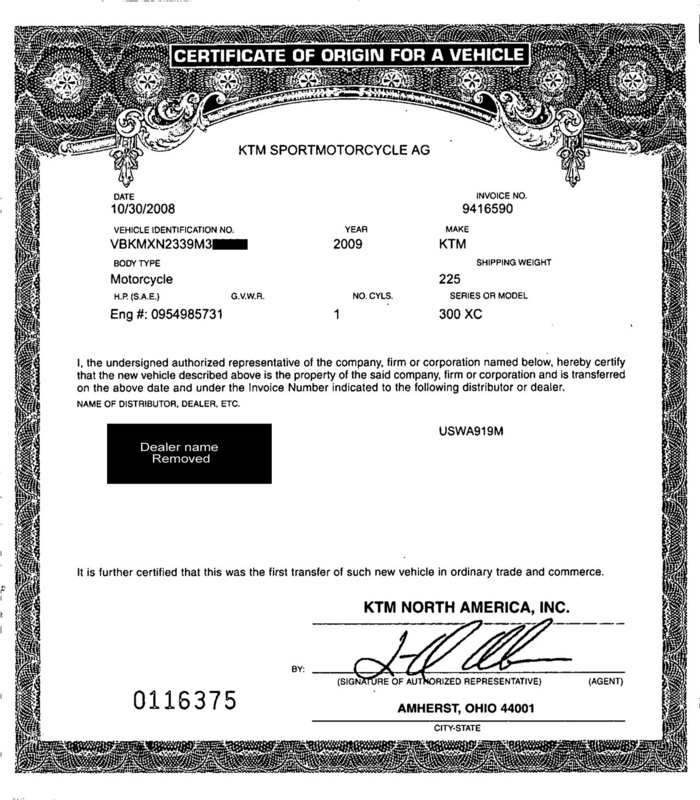 Certificate for non-street legal 300XC motorcycle without required statement. 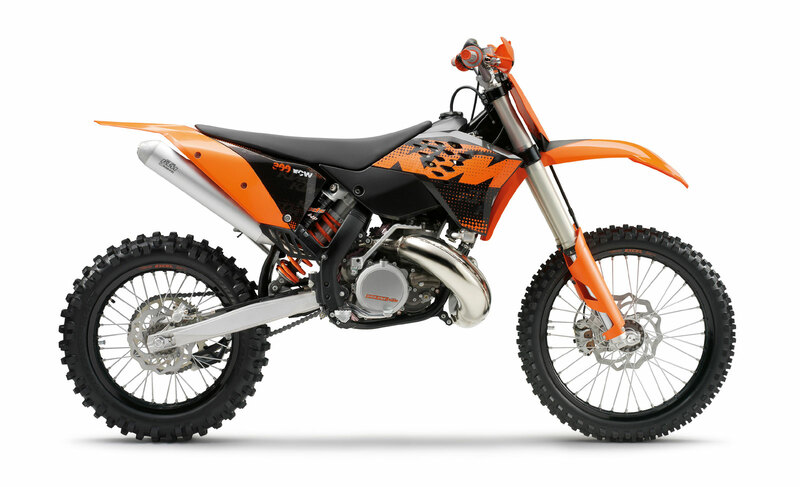 DOL recently learned about a procedural issue that allowed the owners of some off-road motorcycles to register them for use on public roadways. State and federal laws prohibit vehicles manufactured specifically for off-road use from being licensed and registered for use on public streets. Off-road motorcycles and other types of off-road vehicles can be registered with DOL as off-road vehicles and are eligible for off-road vehicle permits. These permits allow use the use of these vehicles for recreational purposes on public land, but not on public roads. DOL is working to cancel license plates and motorcycle registrations issued to the owners of off-road motorcycles. These individuals will receive new off-road vehicle registrations and an off-road vehicle permit. Click here for detailed questions and answers about this issue. Due to state budget cuts, DOL offices will be closed for business on Tuesday, Sept. 7, as DOL employees take their third required temporary layoff day. Because this temporary layoff day directly follows the Labor Day holiday, all driver licensing offices will be closed Saturday, Sept. 4, through Tuesday, Sept. 7. Offices will reopen on Wednesday, Sept. 8. DOL is advising individuals who need driver license services to try to take advantage of online service options or to plan carefully to minimize their wait if they have to visit an office in person – average wait times will likely be significantly higher than normal when offices reopen Wednesday, Sept. 8. You can check the DOL website to see if you can renew or replace a driver license or ID card, obtain a copy of your driving record, and renew your vehicle tabs from your home or office computer. State temporary layoff days do not affect county or private vehicle licensing offices. A list of vehicle licensing offices is available on the department’s website. Temporary layoff days for state employees were approved by the Legislature and signed by the Governor in the face of a $2.8 billion budget shortfall. You are currently browsing the Licensing Express blog archives for September, 2010.